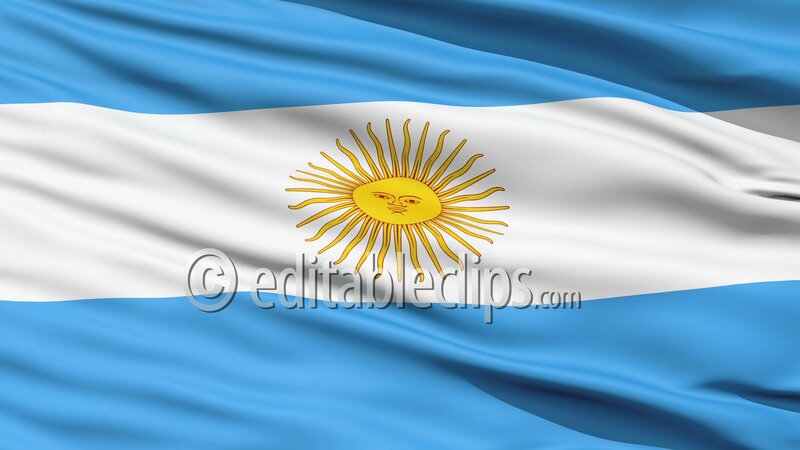 Rippled textile flag of Argentina with blue and white stripes and yellow sun close up background. Sunrise Over The Earth. Globe with City Night Lights. Southern Hemisphere.